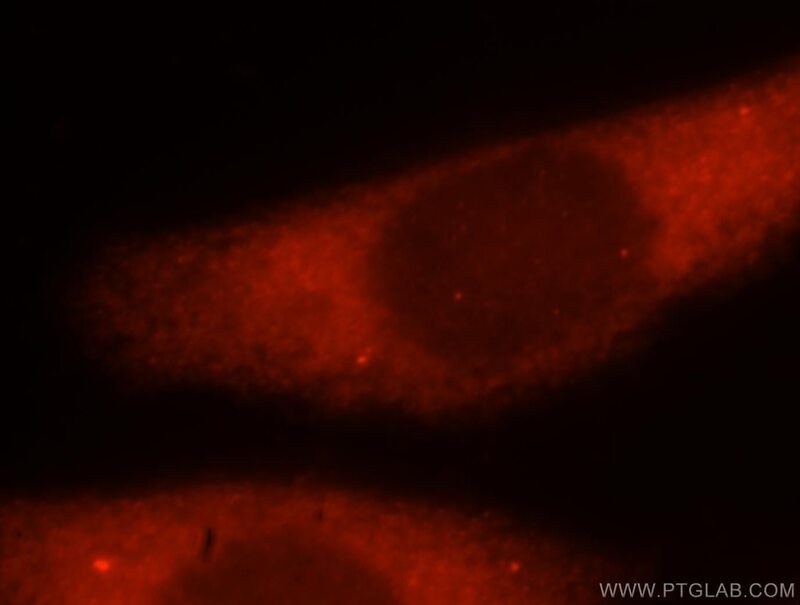 Immunofluorescent analysis of Hela cells, using ATXN10 antibody 15693-1-AP at 1:25 dilution and Rhodamine-labeled goat anti-rabbit IgG (red). 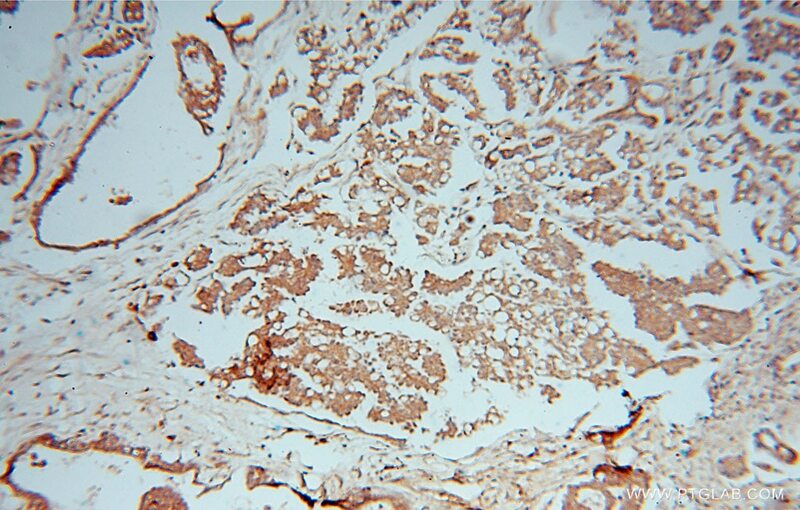 IP Result of anti-ATXN10 (IP:15693-1-AP, 4ug; Detection:15693-1-AP 1:1000) with A431 cells lysate 1200ug. 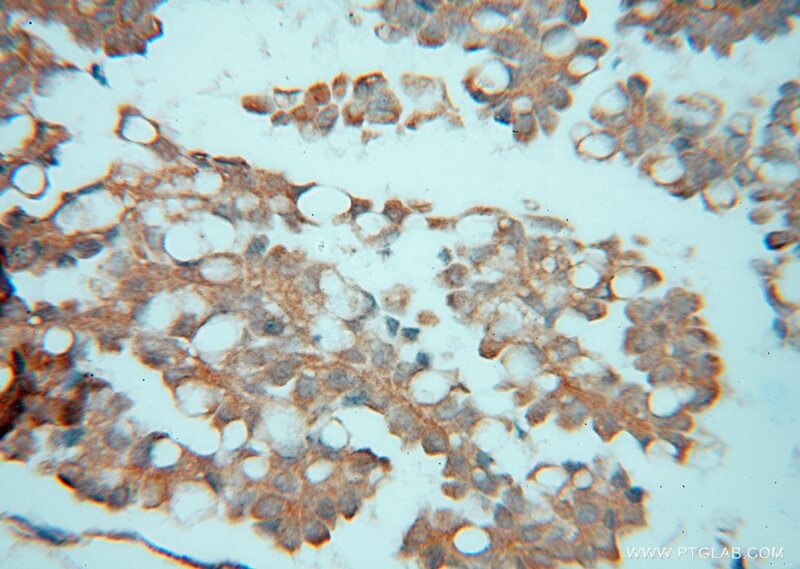 ATXN10, also named as SCA10, is a 475 amino acid protein, which belongs to the ataxin-10 family. ATXN10 is expressed in the central nervous system.ATXN10 is necessary for the survival of cerebellar neurons. 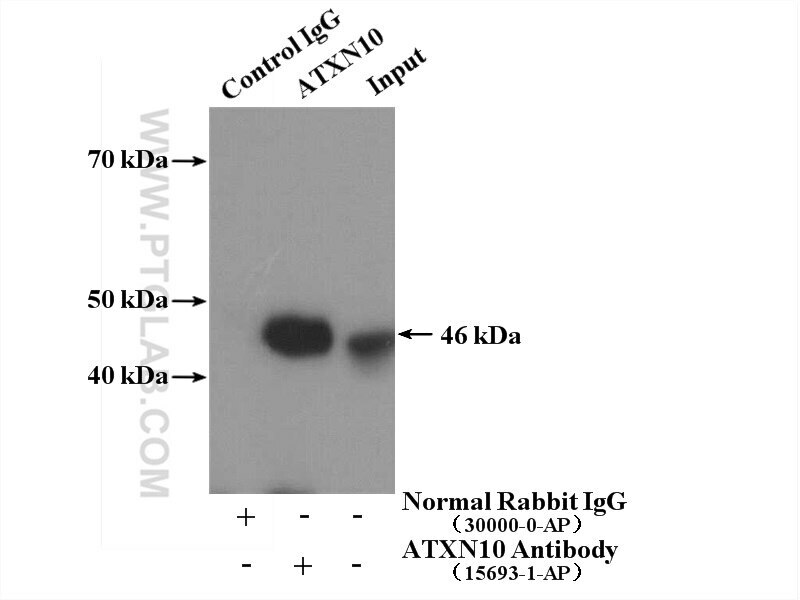 ATXN10 may play a role in the maintenance of a critical intracellular glycosylation level and homeostasis. Quantitative interaction proteomics reveals differences in the interactomes of amyloid precursor protein isoforms.